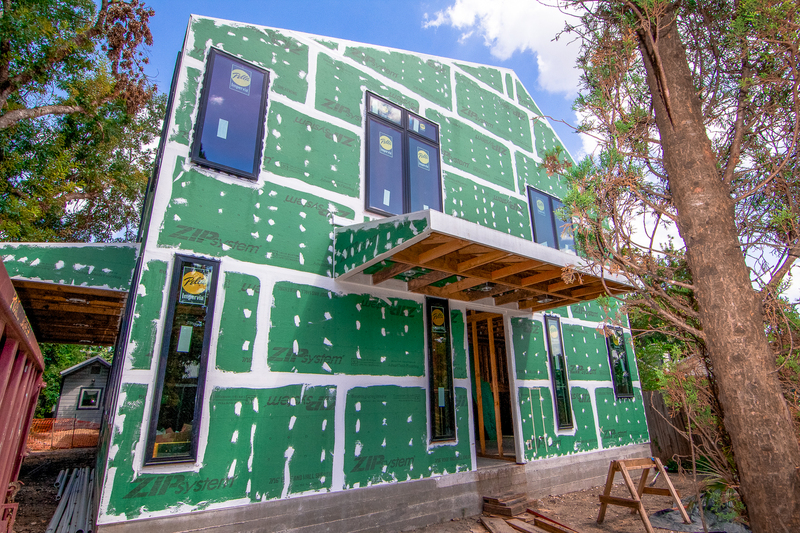 In early 2015 my company created a common sense application of Tyvek’s Fluid Applied, that’s a perfect fit for residential construction. 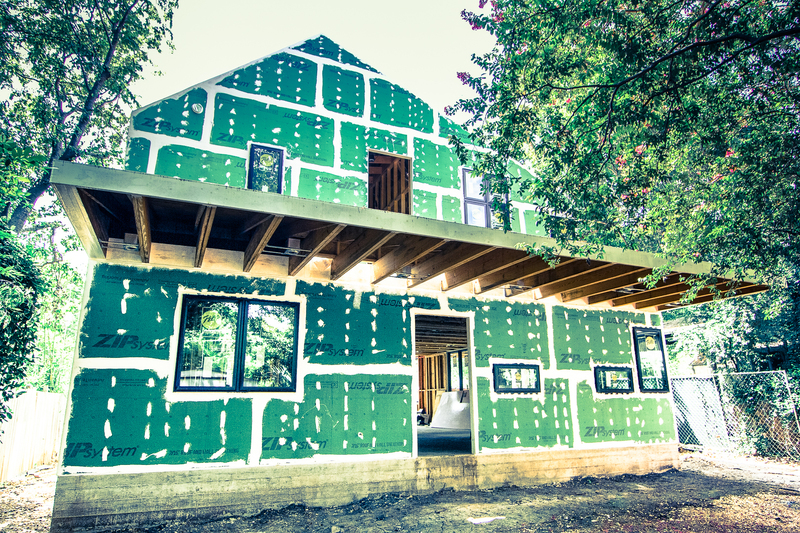 Our system, can achieve near Passivehouse air-tightness standards, without using any insulation. That’s right, the house below scored 0.8 air changes per hour (ACH50), just a couple of hairs away from the 0.6 Passivehouse air-tightness threshold. In laymen terms, that’s super tight! So tight in fact, that I have never (knowingly) in my life, met a person that has built a house this tight. 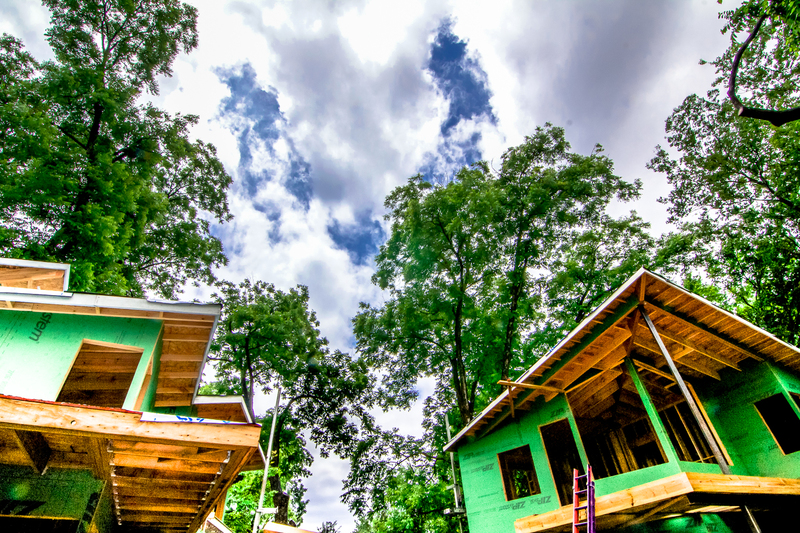 We’ve been building homes like this ever since. Enjoy the video! In both real-estate and construction, using square footage as a cost-based metric is common practice. My friend Brady Foster, a local metal artisan, tours us through his shop in prep for a custom stair fabrication and install in our Holly Street Project. Balloon Framing is a 200+ year old technique we employ on this custom home in Austin, TX. 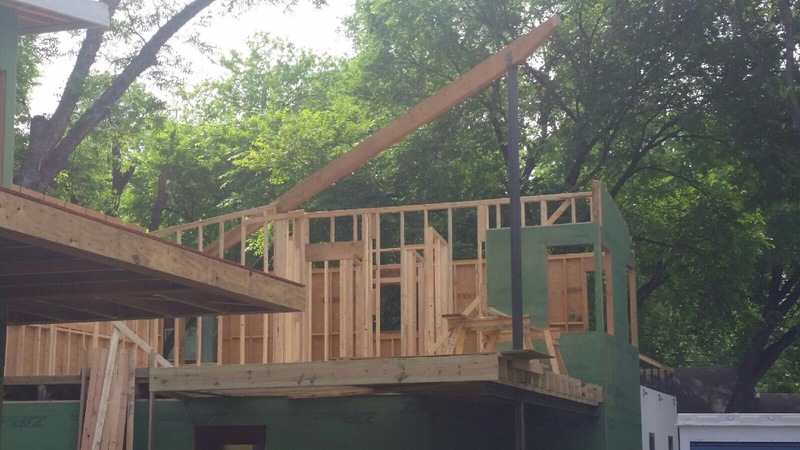 LSL (laminated strand lumber) helps make this possible, while also allowing for perfectly straight walls. Structural steel can span significantly greater distances than wood. Watch the video below to see how the two materials are used in conjunction with another, to achieve a dramatic cantilever effect.